An ever-growing number of service providers--joined most recently by Walmart and AT&T--now offer a wide array of prepaid or pay-as-you-go cellular service plans. These companies are responding to a growing need in the marketplace: During a slow economic recovery, more and more people are put off by the cost of an expensive two-year wireless service contract, and they’re looking for alternatives. With prepaid plans, customers typically pay for a device upfront, and then either buy a specified amount of minutes to use, or pay month-to-month without entering into a long-term contract. Once associated with boring, limited phones aimed at relatively low-income users, prepaid plans have become the new black. Many prepaid providers now offer--or will soon offer--support for such data-centric devices as Android phones and BlackBerrys. A generational shift away from voice calls to text messages, Facebook, Twitter, and other data-based methods of communication is also playing a role in the shift toward prepaid offerings. Providers are targeting the price-sensitive youth market with new pay-as-you-go options for data-only or data-centric plans and devices. Whatever the cause, more people are buying prepaid wireless plans than ever before, and the trend shows no signs of slowing. During the last quarter of 2009, prepaid customers accounted for 65 percent of all net new cellular subscribers, according to IDC. The top prepaid voice providers in the United States include Cricket Communications; MetroPCS; Sprint's Boost Mobile and Virgin Mobile; and TracFone Wireless, which primarily serves voice customers. The bigger cellular service providers--which include AT&T, T-Mobile, and Verizon--have significant numbers of prepaid wireless customers as well. Meanwhile, as a result of heightened competition among cellular device providers, better handsets are appearing on prepaid providers' shelves, contributing to what one provider has called "kind of a perfect storm" of opportunity meeting need. The upshot: Prepaid providers can now offer devices like the BlackBerry Curve 8330 smartphone, which comes with app support, e-mail support, and a full QWERTY keyboard, among a bevy of other features. Sprint Nextel's Boost Mobile brand sells the Curve for $149, and can combine it with a $60 per month plan that permits unlimited text, Web, e-mail, national calling and other extras, putting the Boost Mobile Curve into competition against the top carriers' higher-priced devices and postpaid plans. Dallas-based MetroPCS Communications, which operates in select markets across the United States, has ridden the wave of prepaid popularity, adding nearly 1 million new customers over the first six months of 2010 while significantly reducing customer "churn," the term used to describe users who discontinue service. "We're getting close to postpaid [provider] churn numbers, which means our message of being affordable and predictable is letting us enjoy a lot of success," says Thomas Keys, MetroPCS's chief operating officer. According to Keys, the ability of a smaller provider like MetroPCS to move a significant quantity of handsets wasn't lost on the device manufacturers; and they, in turn, helped MetroPCS beef up its device offerings. "We now have 18 to 20 different [phones] in our lineup, with smartphones and [BlackBerrys] right now, and Android devices due out later this year," Keys says. As the economic downturn continues in most parts of the country, and as more potential customers come to the end of their previous postpaid contracts, prepaid providers will continue to reap benefits, Keys predicts. "Every month, more of those contracts expire and it's a chance for more people to take a look at [prepaid]," Keys says. "They're going to see a MetroPCS that is a lot different than the company they might have heard about in 2005 or 2006." On Tuesday MetroPCS introduced the first U.S. Long Term Evolution (LTE) 4G services, with a $55 prepaid plan and an LTE feature (that is, nonsmart) phone--the Samsung Craft. The Craft will sell for $299 after rebate, with a $55 unlimited Web, text, and voice plan that targets MetroPCS's cost-aware core customers. Walmart's recent decision to sell its own Walmart-brand wireless phone service (alongside household goods and bargain-priced food) is perhaps the most telling sign that cellular plans are fast becoming a commodity, with no-contract plans helping more people get in on the wireless fun. Walmart's new service, Walmart Family Mobile (which will run on the T-Mobile network), is actually a hybrid plan: Customers will pay at the end of each month, but won't have to sign a contract or make a multiyear commitment. 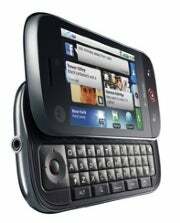 Walmart will soon offer the Motorola Cliq. While Walmart had previously offered traditional prepaid plans under the Commoncents (through Sprint) and Straight Talk (through Verizon) brands, it will market the Walmart Family Mobile brand in conjunction with the Android-based Motorola Cliq XT and other smartphones, targeting relatively Web-savvy customers. Sprint--which controls several prepaid brands, including Boost and Virgin Mobile USA--purposely offers different devices and plan configurations (including unlimited data) to attract different customer segments. Virgin Mobile, which counts data-consuming youth among its core constituencies, now offers prepaid plans for data-only devices such as the MiFi mobile 3G/Wi-Fi router, as well as for a USB 3G modem. AT&T's September 20 announcement of prepaid wireless data plans for certain devices--the first such offering from Ma Bell--along with new prepaid data options for smartphones from Verizon seem to confirm that prepaid wireless will account for a larger part of the cellular landscape in the future, especially as consumers turn to wireless for their everyday broadband data needs. The DataConnect Pass prepaid data plans announced last week by AT&T apply exclusively to three approved netbook/laptop devices--two from Acer and one from Dell (prices start at $500). A 100MB day pass costs $15, a 300MB week pass is $30, and a 1GB month plan runs $50. These options are comparable to those in the prepaid data/device plans that Verizon introduced late last year. Verizon's prepaid data plans require a $130 USB modem for network access. While they timidly test the waters in prepaid service, the nation's biggest carriers continue to offer their 3G devices in a complex and confusing tangle of data caps, device costs, and plan rules. Purveyors of the new, so-called 4G networks (Clearwire, Sprint, and MetroPCS) are adding prepaid, all-you-can-use data plans that tout the new networks' faster download speeds. On August 30, Clearwire launched its Rover prepaid brand, which requires users to purchase either a $150 mobile router (called the Rover Puck) or a $100 USB modem to connect to the company's WiMax network. The Wi-Fi connection in the Rover Puck will then support up to eight additional devices. Rover plans cost $5 per day, $20 per week, or $50 per month, with no data caps and with download speeds that eclipse those of 3G networks. Though Clearwire has offered month-to-month contracts for its service, Seth Cummings, general manager of the Rover brand, notes, those plans still require a credit card, which many of the data-hungry youths in Rover's target market don't have. "We wanted to take away all the complexity of signing up for a mobile data plan, while coming out of the gate with a premium feel for a pay-as-you-go market," Cummings says. The Rover products will work wherever Clearwire has service; as of September 20, Clearwire's WiMax service was available in 54 markets. Paul Kapustka is editor and founder of Sidecut Reports, an independent research firm that specializes in wireless technologies.